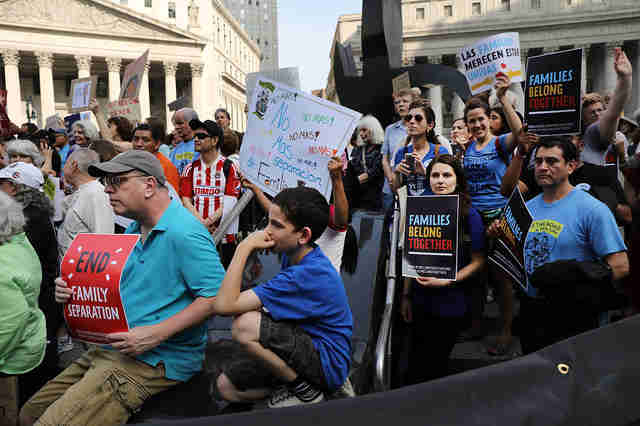 On Saturday, June 30, hundreds of thousands of demonstrators are expected to turn out around the globe to protest the Trump administration's immigration policies that prompted the separation of families and the detention of thousands of young children. 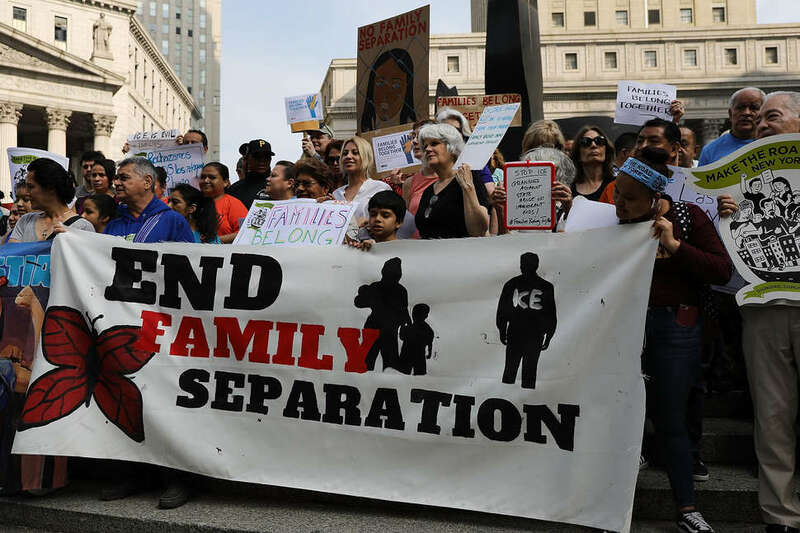 The media coverage of the nightmarish situation for immigrants, and particularly the images of children in cages in detention centers, set off a vehement backlash earlier this month. In response, President Trump backpedaled and signed an executive order to prevent families from being separated going forward. However, many, many families have yet to be reunited, and the crisis is ongoing with no resolution in sight. 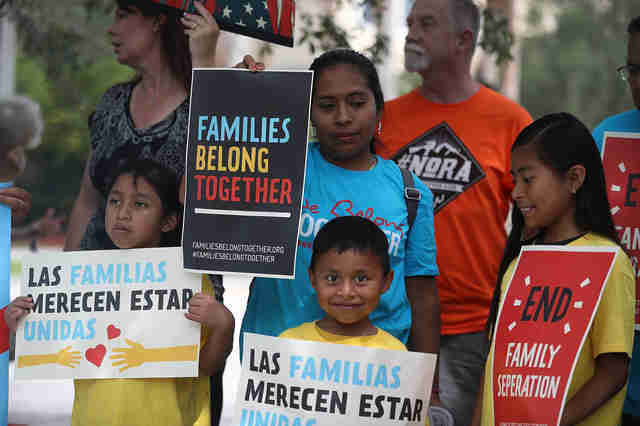 To bring attention to the issue and to push the administration to put an end to this cruel treatment of asylum-seekers, there are at least 628 Families Belong Together protests planned around the country and world this weekend. These rallies, including the big one planned in Washington D.C., are being organized by a number of non-profit groups including the ACLU and MoveOn, and you can easily find one near you at this website. If you're planning to attend and want to ensure your message comes across in a powerful way, we've pulled together a number of sign and poster ideas to serve as inspiration. Although it's tough to find many appropriate ways to bring levity to such a dark and twisted reality, sometimes a clever turn of phrase or pun is all it takes for your message to really hit. Here are some slightly quippy ideas to consider. Then they came for the children and I said HELL NO! Don't Have a Heart of I.C.E. Where Does Your Conscience Sleep At Night? How Did We Get Great? Immigration. Oftentimes the most powerful message is the most direct and earnest one. If that's the route you'd prefer to take then consider broadcasting your sentiment with one of these. Can't contain your anger and frustration and feel compelled to express things with a bit more oomph, consider getting straight to the point with a more pointed message like one of these. Many times its the youngins' at rallies who are the most spirited and noticed by passersby, so if you're planning to bring along little ones to the demonstration, here are some kid-friendly messages wroth considering.